​The "Golden Toque" was originally founded in France and brought to this country by Chef Pierre Berard. It is registered in the United States Patent Office as The Honorable Order of the Golden Toque founded in 1961. Golden Toque means Golden Chefs Hat. The Honorable Order is the highest acclaimed recognition a Chef can receive in America. 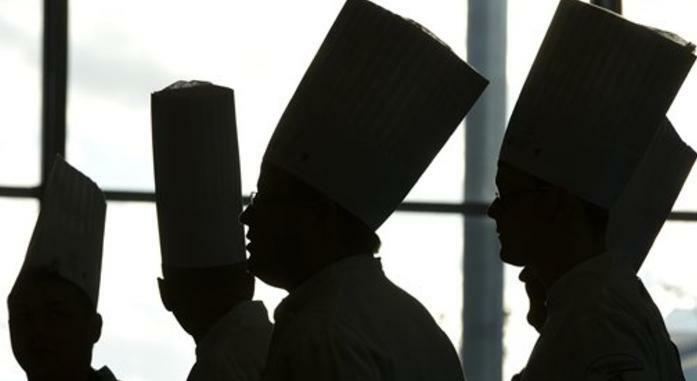 The Honorable Order of the Golden Toque was established to give recognition to Chefs of at least twenty years service, who have achieved professional attainment of high estate, abiding interest in professional progress and devoted and distinguished service to the Culinary Profession and Arts. Membership is restricted to One Hundred life-time members. One may not apply for membership, but must be nominated by three active members. After the nomination a screening process is conducted thru the Acceptance Committee composed of past Grand Commanders, the Board of Directors and final acceptance must be granted by the membership at the Annual Meeting.